At least three girls every month are dumped outside orphanages in India’s capital Delhi, as the city struggles with increasing numbers of children awaiting adoption. 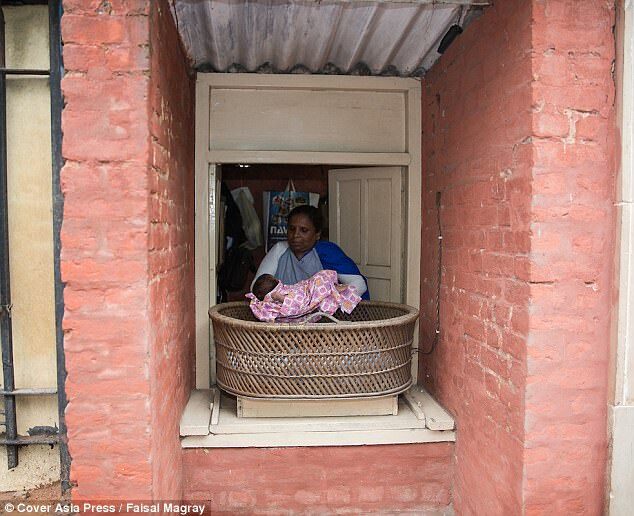 Hospitals, orphanages and police stations across Delhi are overwhelmed with abandoned girls dumped in ‘baby baskets’ no longer wanted. 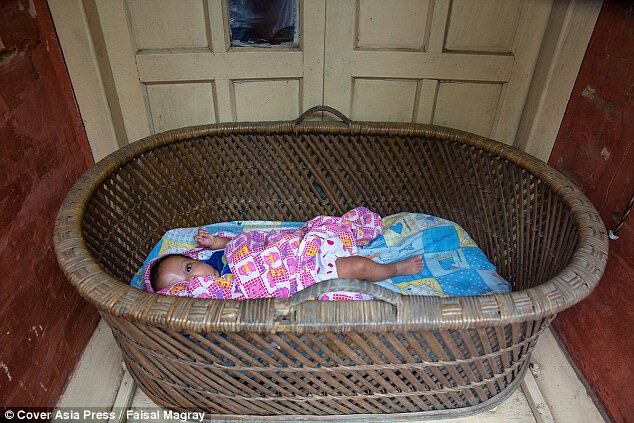 Adoption officials claim there are too many babies waiting to find forever homes, but a leading charity claim ‘baby baskets’ – where parents can leave unwanted children without fear of prosecution – are pivotal in ensuring the survival of these babies. At the same time, the statutory body responsible for facilitating adoptions is currently only managing a third of their annual goal of successful processes. The Central Adoption Resource Authority (CARA), a statutory body which facilitates the process of placing children with adoptive parents, manages to arrange the adoption of 3,000 children a year. While they have 10,000 couple registered to adopt. They’ve set themselves an ambitious target to increase the adoption figure to at least 10,000 annually by 2018-19. Deepak Kumar, the CEO and secretary of CARA said: ‘The cradle scheme started to stop mothers killing their unwanted babies. Many women in India do not want to openly abandon their babies due to the stigma attached to being an unmarried mother. 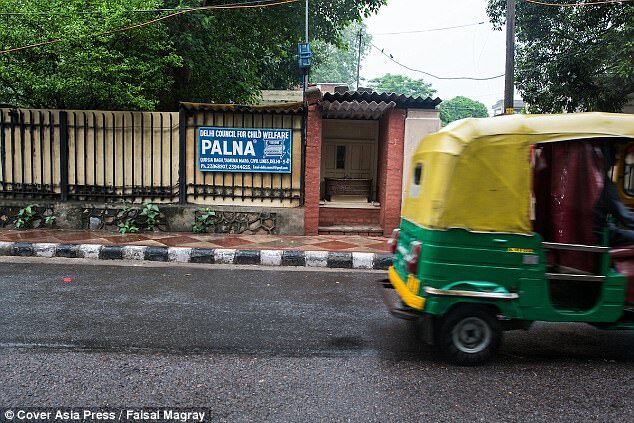 Palna, an adoption agency connected with the Delhi Council of Child Welfare (DCCW), has been caring for abandoned children for 40 years and receives at least three babies every month via the cradle scheme. India is renowned for its female foeticide. A shocking number of baby girls are found dead or alive in bushes or even buried alive across parts of India. Babies in rural parts of India do not even see their first birthday due to malnutrition and harsh living conditions. But a growing number of charities and children’s homes are implementing the cradle scheme. 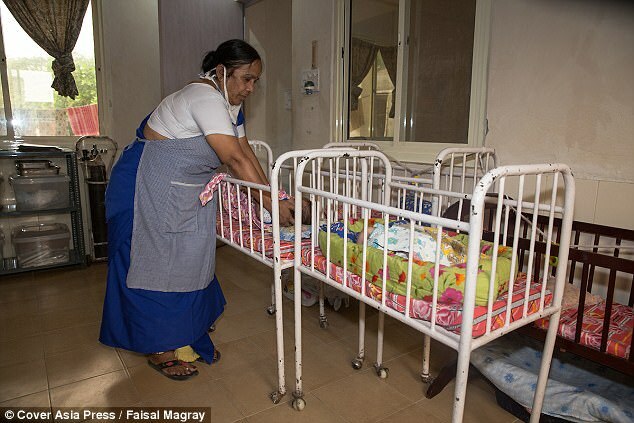 It’s an electronic cot that sits outside orphanages and hospitals and alerts staff when it has a new arrival. It also allows mothers to give up their baby without having to identify themselves. It has brought a ray of hope for vulnerable women in India, but also couples seeking to adopt. The DCCW ensures each baby has no claimants, by working closely with the Delhi police and other agencies, before allowing adoption. On occasion, during the process some mothers come back for their baby but it’s rare. Sadly, there are many more girls than boys abandoned and in desperate need of adopting in India. As well as girls, many of the babies abandoned are also mentally challenged. 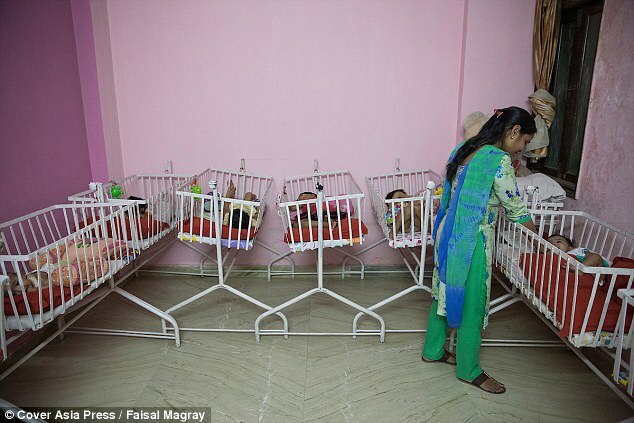 Matru Chaya, is another adoption agency in Delhi, and is a huge supporter of the cradle scheme. Currently, CARA has 14,000 couples on the waiting list to adopt, and 20 of those are from Britain.